This exceptional Cologne based trio of the double bass player and ECHO award winner Sebastian Gramss presents the second album ‚GENTLE GIANTS’ (Traumton / Berlin). After their highly acclaimed debut ‘The Wood’ in 2013, the three lift their lyrical style to perfection with the new album and develop a subtle depth, in which there is so much to discover. In 2018 they received the famous German ECHO Award for their new Album: “GENTLE GIANTS”. Since 2013 they have been touring in all over Europe, Russia and in Africa. On board: Sax player Hayden Chisholm – SWR award winner originally from New Zealand, and cologne based piano player Philip Zoubek from Austria. Their appealing and ambitious approach harmoniously brings together refined structures and improvisations, appealing to both – mind and soul. 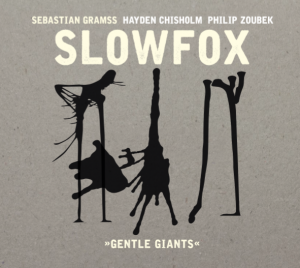 SLOWFOX – recently celebrated as „Newcomer of the Year“ at Jazzahead Festival – embodies an exciting balance between appealing melodies and sophisticated sound aesthetics and creates a unique kind of a “Melodic Avantgarde” at the highest level of playfulness. by those who could not hear the music. “This exceptional Cologne based trio of the double bass player and ECHO award winner Sebastian Gramss present us with their second album ‘GENTLE GIANTS’ (Traumton, Berlin). 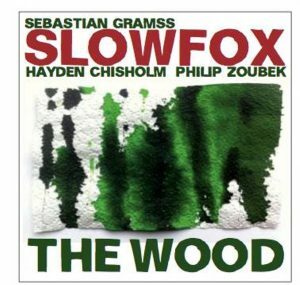 After their acclaimed debut ‘The Wood’ in 2013, the trio lifts their lyrical style to perfection with the new album and develops a subtle depth, in which there is so much to discover. On board: Sax player Hayden Chisholm – SWR award winner originally from New Zealand, and Austrian born piano player Philip Zoubek. The trio’s appealing and ambitious approach harmoniously brings together refined structures and improvisations, appealing to both the mind and the soul.